I recorded some of the heat races last Friday Night. 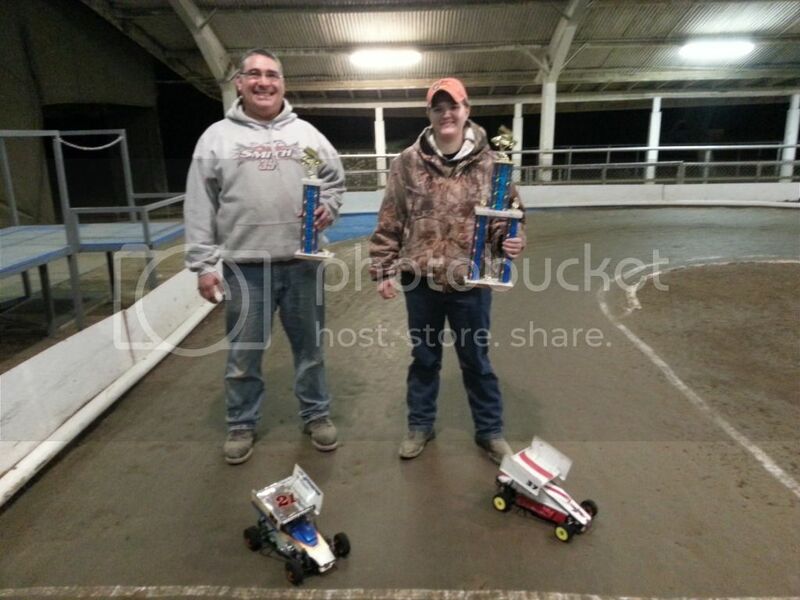 Ok Shark Tv fans here are vids of the Great Racing on the last nite of club Racing at DRC Speedway. Next week is the BOTW Race Round # 1. 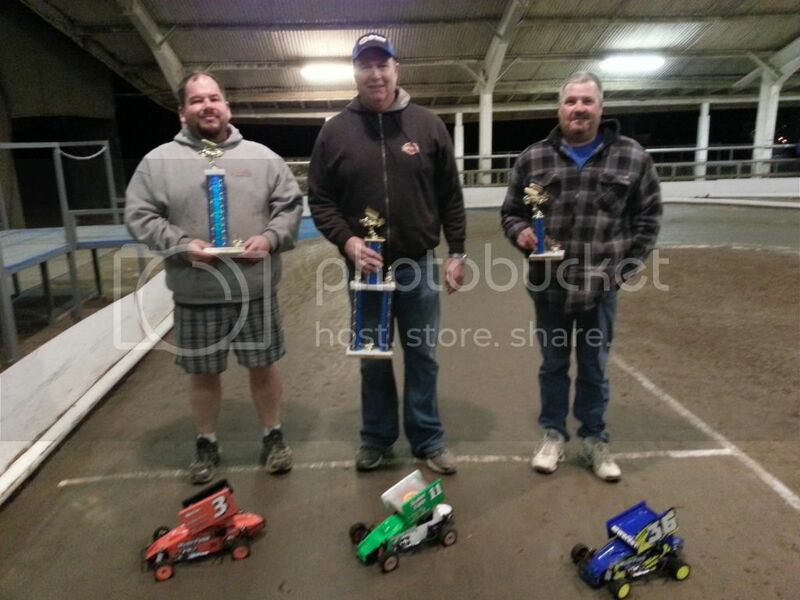 Thanks to all the crew at DRC Speedway for a great winter season. The race will be a one day event, with no friday night practice. I would encourage anyone who's sitting on the fence about making the trip to get off you rear and come on down opportunity knocks but once. 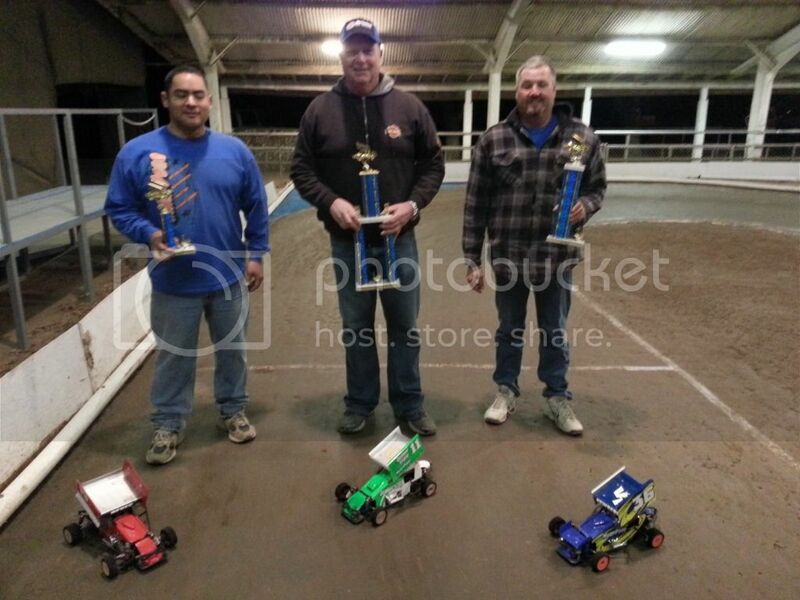 Congratulations to all our Dirt Oval Winter Series Winners! Our first DOWS was a big success! Huge thank you to Joe Reyes for all his hard work and to everyone who came out to support the series! Can't wait for the next one! Hopper what time does the track open for practice this Friday. DOWS Final Points are updated! Videos are all uploaded for your enjoyment. Hey Sherm, coming to Delta tonight 3/8? JR. and I will bringing our CDM's out, maybe we can get Joe Reyes to bring his and 1 more would be five, I am trying to build 1 or 2 more so if anyone is interested they can drive one of those and see if they like it. Let me know. Couldn't have said it better myself Butch! We appreciate your support. Its racers such as yourself that make Delta what it is. A great place to race! Looking through the results at least for the classes that I run, I gotta say we have some pretty good parity going on. Good racers and good competitive racing. I had fun and want to say thanks to my fellow racers, you guys are tops! And thanks to Hopper, Joe and Matt for working on the track. This track has been way more fun that I ever thought, I'm almost going to miss it when we get back outside. But I'm getting ready for some serious speed though! Got to get that nitro car back out real soon. 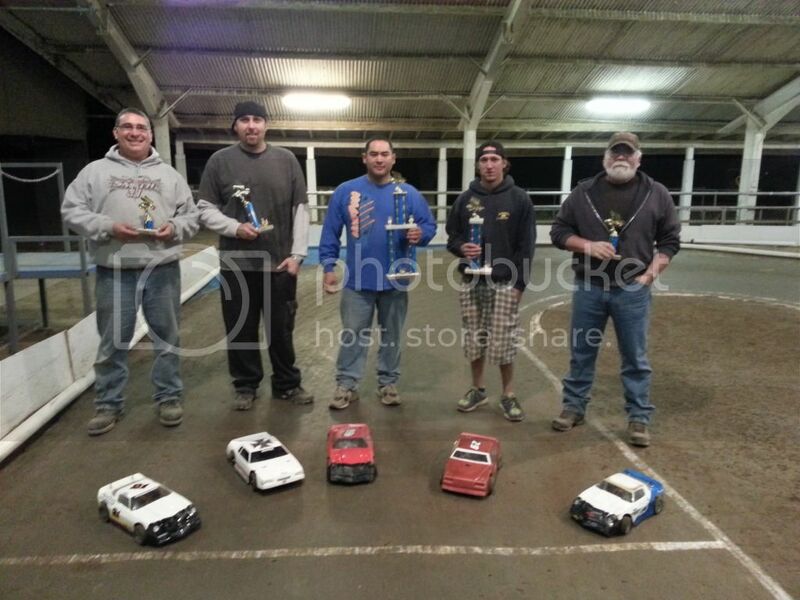 Results from the dirt oval winter series final round! I will tally and post final series points once I get back to my pc at home. 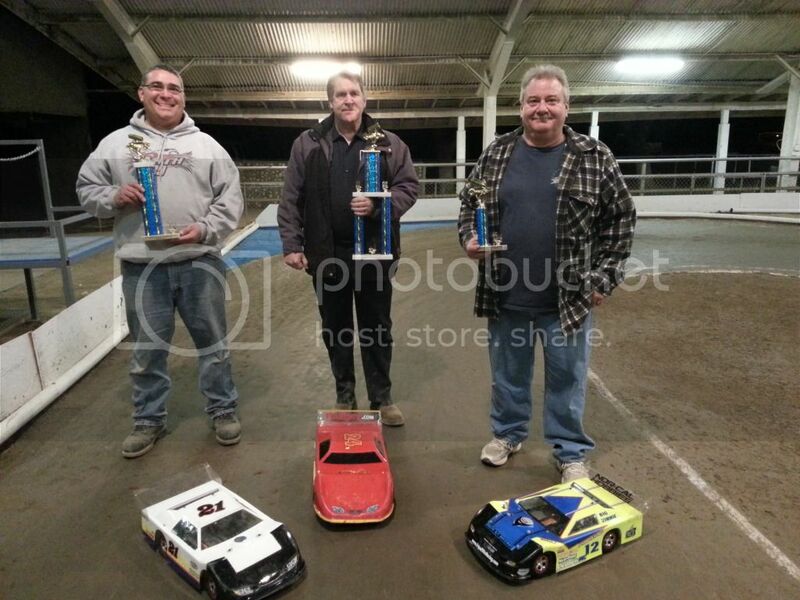 Here we Shark Tv fans here are the vids from the 2013 DRC Dirt Oval Winter Series last race 3/1/13. Enjoy all. As far as the detailed schedule goes, that will be released the week of the race. 6:00am - Track Prep Begins 6:15am - Gate will be Open for TRAILERS ONLY, so we can get them setup without anyone in the way. 6:30am - Gate will be Open for all other racers to setup and select pit spaces. There are a few covered pit tables available, first come first serve. There is a large area that is covered, that is available for pitting with tables. No EZ-Ups necessary. There is plenty of covered areas to keep everyone dry, EVEN IF it rains all day. Open Practice will begin between 7:30 and 9:00am, depending on the track prep. The track will not be open on Friday for practice. Racers may not setup pit areas on Friday. ROAR MEMBERSHIP IS REQUIRED at Delta RC. ROAR Membership provides you with insurance while you are at ROAR Facilities, and is there to PROTECT YOU! ROAR Membership can be purchased at the track the day of the event. There are one day memberships and annual membership packages.